SAPIEN Technologies (website) released their PowerShell tool, PowerShell Studio 2014 this month. They give a 45 day trial, so I’ve downloaded it and am truly impressed. In the first day it already helped my productivity. I thought I’d spend a few blog posts looking at some of the features. Yes, I am one of those oddballs who likes dark color themes. And it was pretty easy to set this up. First, in the upper right there’s a drop down. From it you can pick from one of the standard “Office” themes. which brings up an Options window. Once you have everything set the way you wish, you can save your settings and move them from machine to machine. Just go back to the General tab. Through it you can Save All Settings, which saves everything, from the colors to the layout of all the panels on the screen. 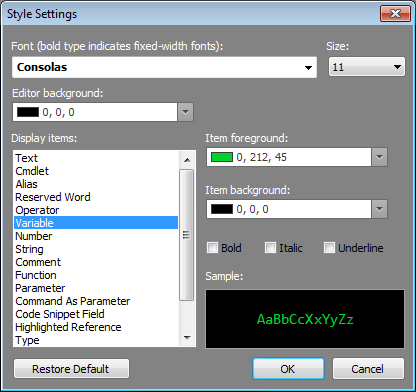 Alternately, you can save just the editor settings by clicking the Save Editor Settings. 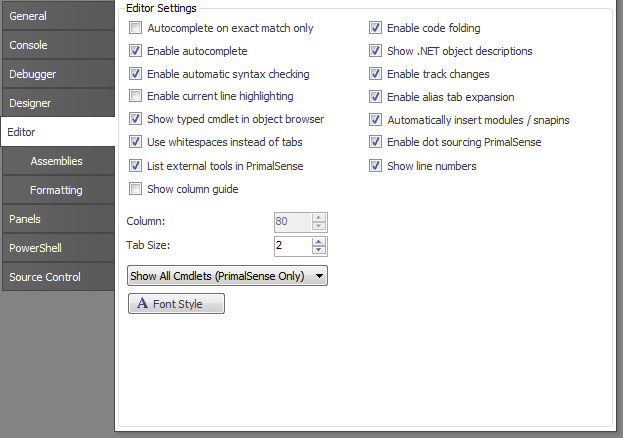 To make it easy should you like this theme I’ve pasted the XML for the dark editor at the end of this blog. 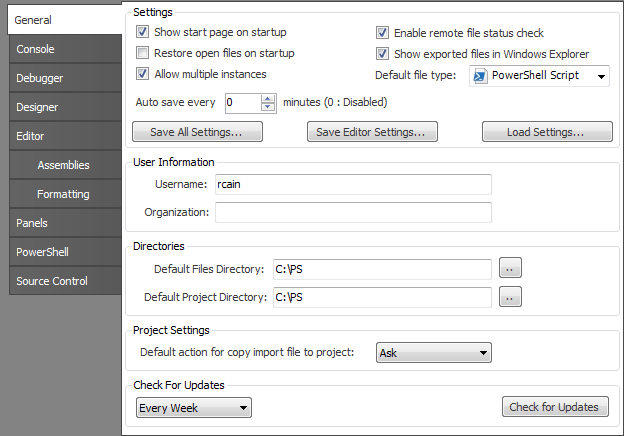 All you’ll have to do is copy it to notepad, save it as an XML file, then use the “Load Settings” feature to load it. 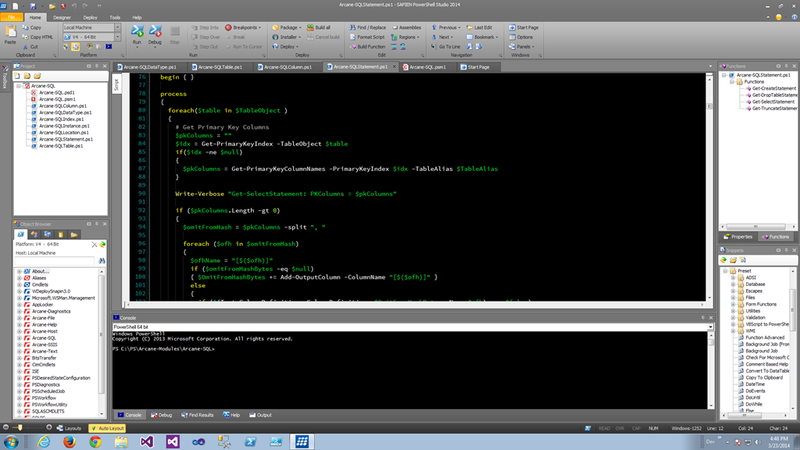 PowerShell Studio also makes it easy to alter the layout of the various panels that surround the editor. At the bottom left is a “Layouts” button. Clicking it shows the layouts optimized for the task you are doing. Once you get a layout you like, you can save your custom layout for later. 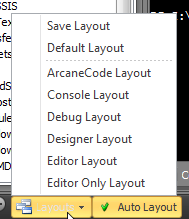 You’ll note my customized layout that I previously saved has been added to the list (ArcaneCode Layout). Now you can quickly jump back and forth between layouts to work on a specific task. 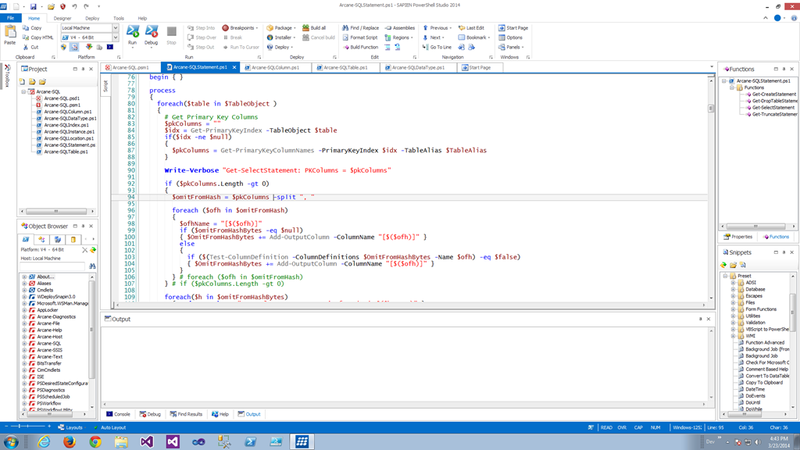 I love the fact that PowerShell Studio 2014 allows me to customize the environment to work the way I want to. You too can customize to your favorite settings. Finally, as promised, here is the XML for my editor settings.